Newcomers have made a huge impact for Florida State this season, but this week, it wasn’t either Malik Beasley or Dwayne Bacon that shone brightest. 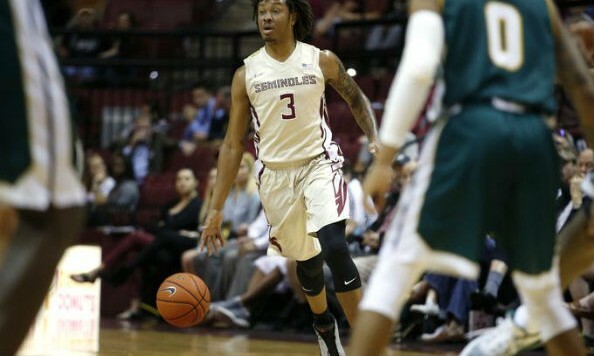 The Florida State Basketball Player of the Week for the week of Dec. 7-13 is junior college transfer Benji Bell, who paced FSU with 18 points in Sunday’s 75-58 win over Southeastern Louisiana. Bell, a junior, scored just 17 points in his first six games as a Seminole, but more than doubled his season total on Sunday. Bell led FSU in scoring while shooting an efficient 5-for-6 from the field. Bell was a perfect 4-for-4 from beyond the 3-point arc. Bell played a season-high 26 minutes on Sunday and also came down with four rebounds. He added an assist and a steal. Bell will look to continue to make an impact as FSU takes on Mississippi State on Wednesday before facing Florida Atlantic in Sunrise on Saturday.